NEW YORK, February 4, 2011 – Vishnu (Indian superstar Abhay Deol), a restless young man, itches to escape his father’s faltering hair oil business. An old truck beckons, which Vishnu sees as his ticket to freedom. He offers to drive the antique Chevy across the desert to the sea, where it has been sold to a local museum. As he sets off across the harsh terrain, he discovers he’s not merely transporting a battered vehicle but an old touring cinema. Along the way, Vishnu reluctantly picks up a young runaway (Mohammed Faizal), a wandering old entertainer (Satish Kaushik) and a striking gypsy woman (Tannishtha Chatterjee). Together they roam the barren land, searching for water and an elusive traveling carnival. The journey turns dire when they are waylaid by corrupt cops and a notorious waterlord. The key to their freedom is the eccentric collection of films and the two 40-year-old film projectors in the back of the truck. As in 1001 Nights, if the films are good, they live and move on. If the films are boring, they face death in the outback. 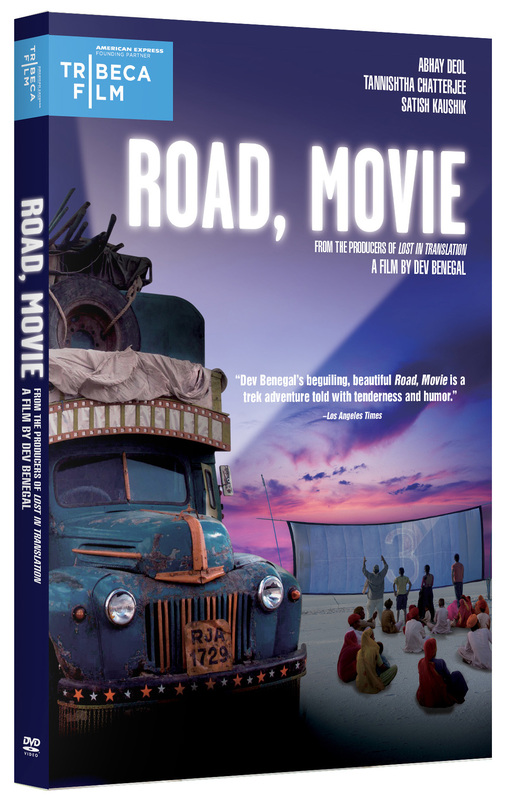 The journey proves transformative for each of the travelers, but especially for Vishnu, who discovers life, love and laughter on the Indian highway. 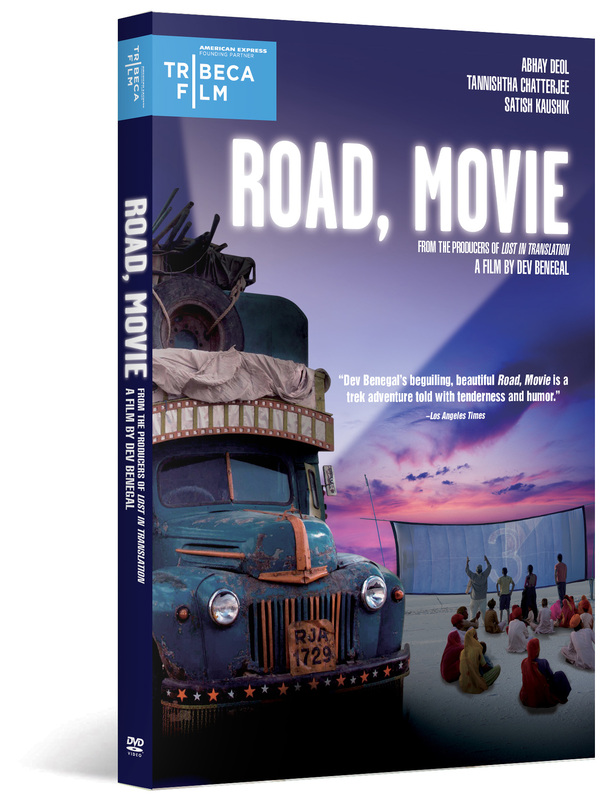 Road, Movie illuminates the intersection of independent cinema and Bollywood. It is directed by Dev Benegal (English, August) and produced by Susan B. Landau (An Ideal Husband) and Ross Katz (Lost in Translation). “…it all goes down winningly thanks to solid ensemble acting, stunning images of the Indian countryside and a third act in which the film unblinkingly slides from comedy to action to musical to social drama and back again,” raves Ernest Hardy of L.A. Weekly. “Dev Benegal returns with a hauntingly beautiful film set primarily in the stunning deserts of Rajasthan and Kutch,” says Cinefilm. The single disc is filled with revealing bonus features, including an audio commentary and interview with Benegal and cast members, plus deleted scenes and My Tribeca Story, a featurette about presented by American Express. 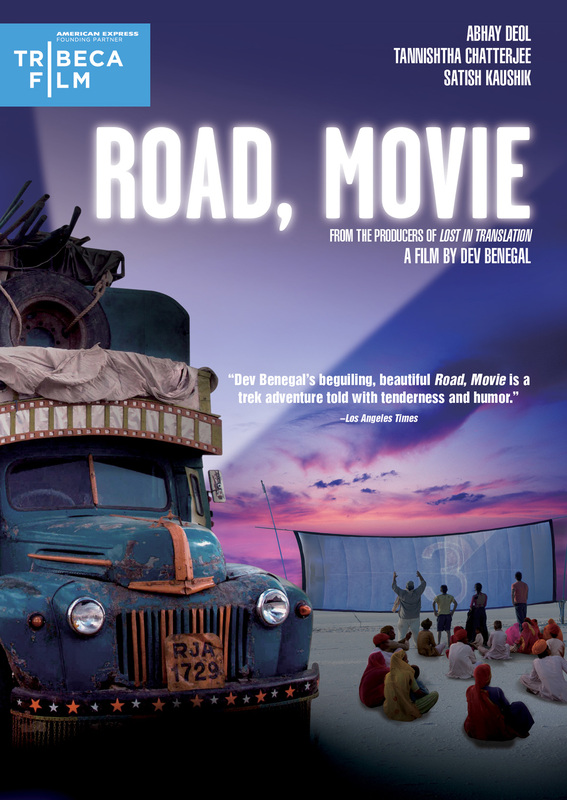 Road, Movie is one of a selection of Tribeca Film titles being distributed by New Video in 2011. Tribeca Film is a distribution label acquiring and releasing films year-round and is supported by Founding Partner American Express. The films range from award-winning dramas and revealing documentaries to uproarious comedies and stunning animated features, many of which premiered at the 2010 Tribeca Film Festival prior to theatrical runs in New York and Los Angeles. The films from the Tribeca Film slate were also available on video on demand in 40 million U.S. homes simultaneously with their Festival screenings through relationships with leading telecom, cable and satellite providers.